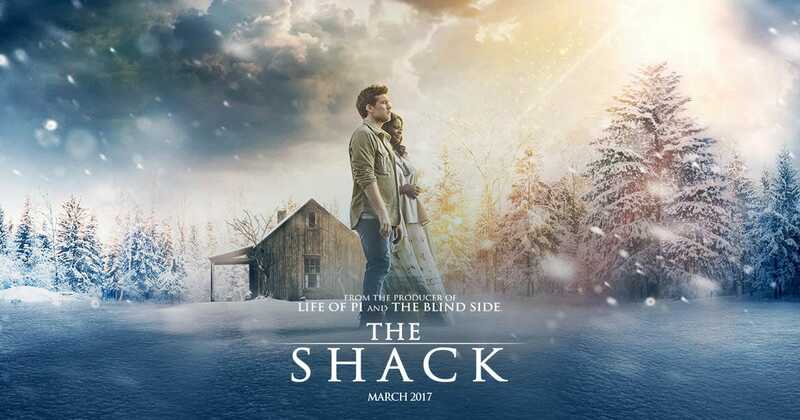 The Shack movie opened in theaters across the US in March 2017. We are seeing a polarization within professing Christianity with this book and movie. Some are calling it a beautiful story of the power of forgiveness and an evangelism tool…others are warning against anyone seeing the movie, fearing people will be seduced by a false gospel. We ask James Walker his thoughts. 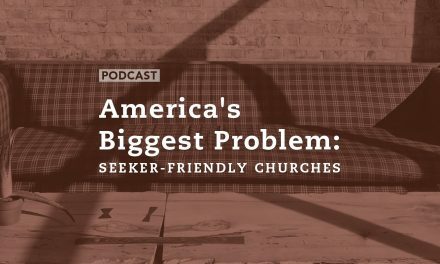 Why are so many people–including self-professed Christians–falling for something so deceptive and potentially evil? Is it because it appears harmless and is not nearly as bad as most of the garbage Hollywood puts out these days? we debate the good and the bad on today’s broadcast of Stand Up for the Truth! Do you believe the book or movie represents the theology and beliefs of Christianity? 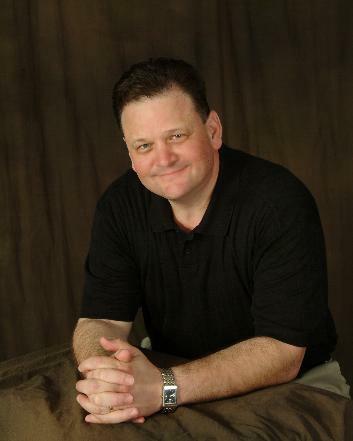 Do you believe the Bible is truth—God’s written Word to men? If they answer “Yes”, ask them how often they read and study the Bible. Question: if you believe the Bible is the truth, wouldn’t you want to know if God’s Word confirmed or contradicted the teachings of The Shack? If the two were in contradiction, which would you choose to believe? 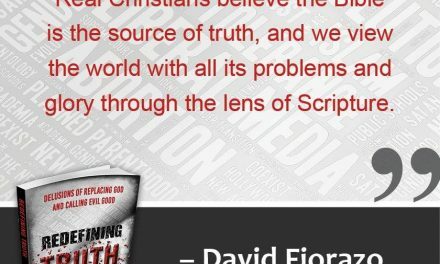 If they answer that they do not believe the Bible is truth, ask them what their standard for truth is? If they answer ‘what I feel or believe’, ask them this: Have you ever believed something was true and later found out you were wrong? If they are the least bit humble and truthful they will answer “yes”. Then ask them “how do you know you are not wrong about this”? Man is desperately sinful and wicked in his nature and incapable of changing. God despises sin and rebellion against Him and must, because of His righteous, just and holy nature, punish this sin and rebellion. God wants to reconcile sinful men to Him, so he sent Jesus Christ—God in the flesh—to pay the price for our sins. On the cross Jesus absorbed the righteous wrath of God that we should receive, so that we who confess and repent of our sins, and place our complete faith and trust in Jesus might be forgiven, spared from eternal damnation and live with God for eternity in heaven. That when we become “born-again” we receive the grace and Spirit of God and the desire and ability by His power to start leading a life increasingly holy and pleasing to God: sanctification. Jesus said, “Only those who believe in me will have eternal life” (John 3:15, John 3:36, John 5:24, John 6:40). 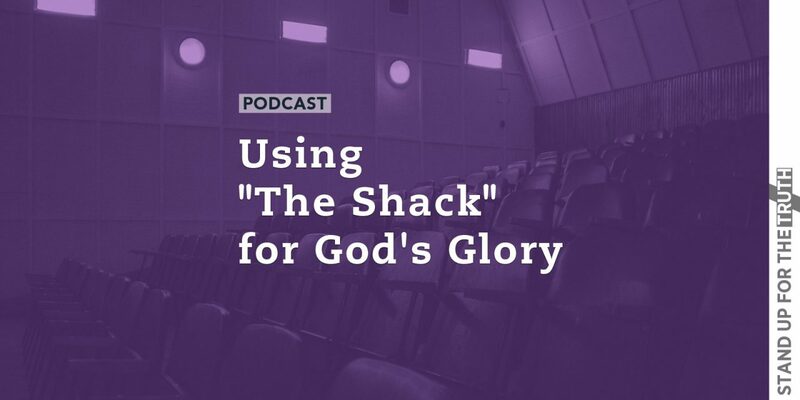 Become familiar with the philosophies and teaching of “the Shack”. Rather than scream “heresy” when someone opens up a conversation about the movie, ask them the questions we outlined earlier. Seek to understand their thought process and beliefs. Ask them what their barometer of truth is? Use this misleading book and movie for the glory of God by taking the time to speak the truth in love and point people to the true gospel.